The applications which are presented for the Android or iOS device, they are designed amazingly and provides a great experience to the users. How will you feel if these apps could run on your PC? It's like a joke? No, it's not a joke, it is reality that now you can run these mobile Android apps on your PC. Here is a simple software known as 'Bluestacks' by which these apps will support to the PC. 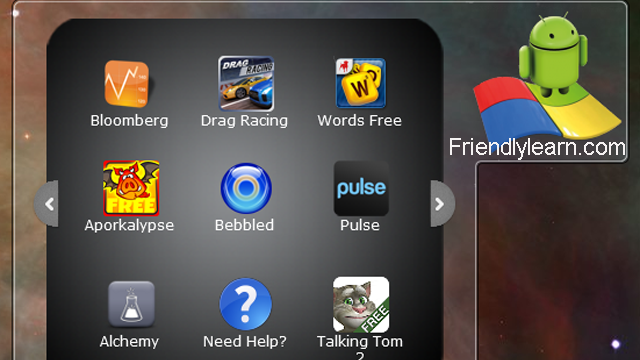 ü First download the Bluestacks from the below given link. ü You can also choose the versions of this software and whether to online installer or offline. ü After downloading it, just install it, it takes hardly two or three minutes. ü Now, after installing it, you can search the apps in the Google Store ,i.e., Google Play. ü Then finally, you can run the Android apps on your PC.